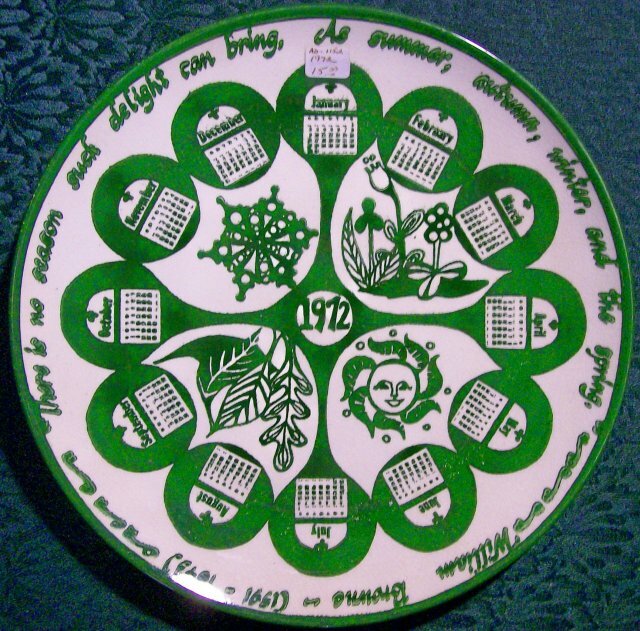 1972 Calendar Plate Mount Clemens China William Browne 10.5"
Calendar plate for 1972 made by Mount Clemens China of Michigan, USA. Dark green on white. Measures 10.5"d. Poem from William Browne (1591-1643) around rim. Good condition, no chips or cracks. Inglenook Antiques...Established 1989. 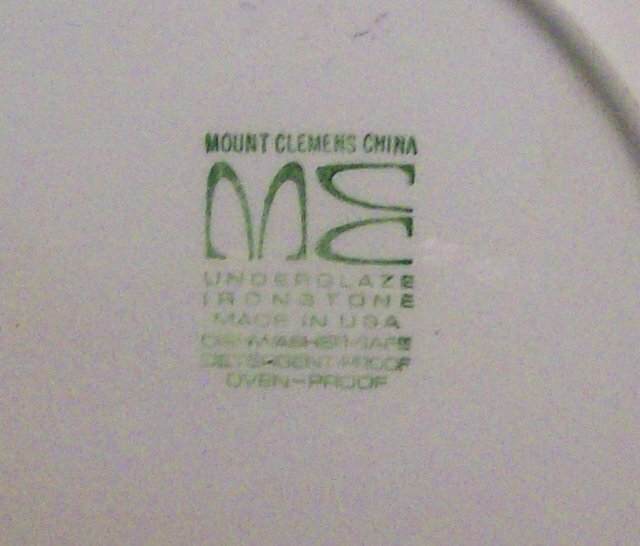 Items Similar To "1972 Calendar Plate Mount Clemens China William Browne 10.5""